Our full service Veterinary Hospital in San Jose specializes in quality service for your Dogs and Cats. The experienced staff provides best veterinary care for every stage in your canine’s or feline’s life, from their first shots, spay/neuter services to a lifetime of preventive pet care. Affordable low cost Pet Vaccination is available over the weekends. 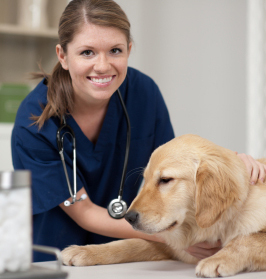 Bring your pet during our clinic time, administered on a first come, first served basis. An exam is not required to receive vaccines except for Rabies. We offer many other services as well, such as compassionate Pet Euthanasia, Pet Surgery, separate Dog and Cat climate controlled indoor Pet Boarding under the care of a licensed veterinarian and Pet Grooming. We serve Almaden Valley, San Jose and nearby area. The Pet Clinic is open on Saturday. Just walk-in. No prior appointment is necessary.